KBRS is pleased to have assisted Genoa Design International, Ltd. with the appointment of Kevin Kelly as the organization’s first Chief Operations Officer. Gina Pecore, Chief Executive Officer, Genoa Design International, Ltd. is pleased to announce the appointment of Kevin Kelly to the newly created position of Chief Operating Officer (COO), effective October 18, 2018. 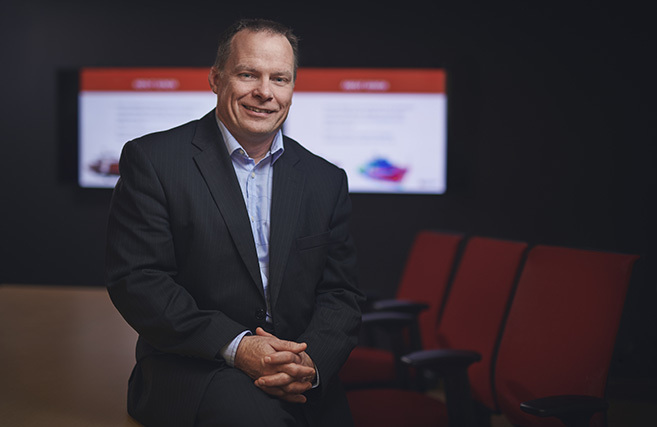 Prior to joining Genoa, Kevin spent the past 11 years in senior management positions with the Newfoundland Liquor Corporation, most recently as their Vice President of Human Resources. He also spent 11 years in a number of progressive leadership roles with Walmart Canada Corporation with ultimate responsibility for seven stores and 1500 employees. Kevin holds a Masters degree in Business Administration, as well as a Bachelor of Science degree (Pharm), both from Memorial University of Newfoundland and Labrador. As COO, Kevin will play an instrumental role in shaping Genoa’s strategic direction and guiding its future growth and development across Canada and throughout the United States. Genoa Design International is a marine production design firm. In business since 1995, Genoa provides production lofting, detail design and 3D modeling services to shipbuilding and offshore industries around the world, with the majority of clients located in North America. Genoa’s head office is located in Mount Pearl, Newfoundland and Labrador with work sites in shipbuilding hubs in Vancouver, British Columbia and New Orleans, Louisiana. We take pride in our employees, customers and industry partners and work hard to provide the highest level of value and quality. Genoa creates innovation and drives continuous improvement in the production process and shares best practices with clients as part of our customer service philosophy.